Mason left his job on Wall Street to start up his pizza business in Philly. Formerly on Wall Street, Wartman, 27, saw how successful $1 pizza shops are in Manhattan, then decided to move back home to Philadelphia and start up one on his own. 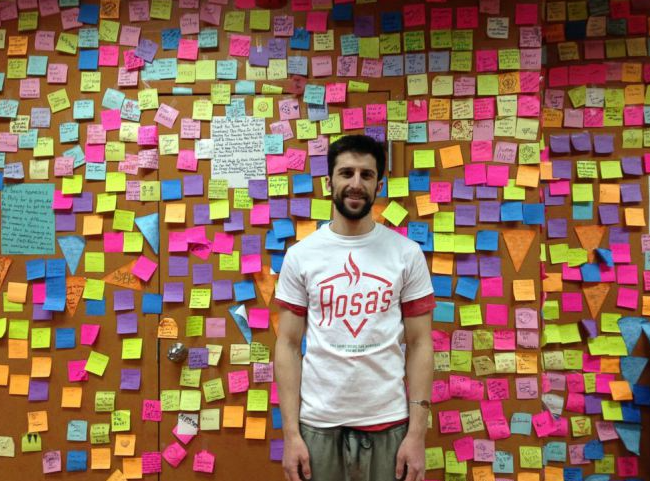 His Rosa’s Fresh Pizza – named for his mother – opened in December 2013. Little did Wartman know what it would develop into just three months later. In March 2014, a customer asked if he could buy a slice for someone in need. It wasn’t long before Wartman got Post-It notes and drew a smiley face on them, to symbolize a free slice. Mason places these pay it forward ‘post-its’ on the wall. Mason’s restaurant feeds around 300 homeless people every week. Mason treats every customer the same, no matter if he or she is on the receiving or giving end of the pizza slice. 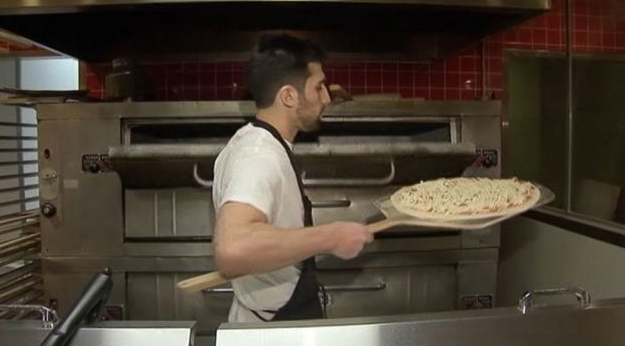 Rosa’s Fresh Pizza owner Mason appeared on “The Ellen DeGeneres Show” on Tuesday. 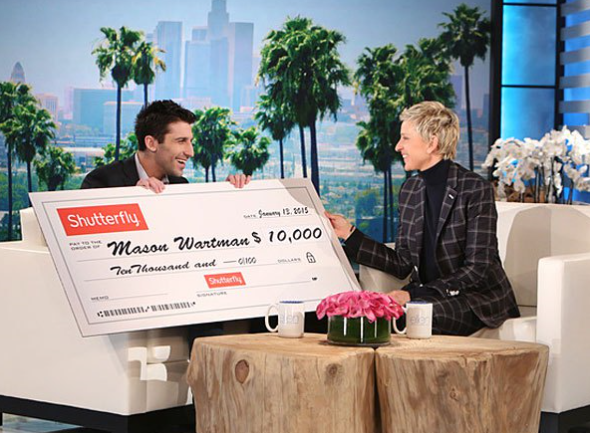 Always down to help out a good cause, Ellen presented Wartman with a $10,000 check from Shutterfly. So, go ahead, get your $1 slice and help out the community while you’re there. A great story and trade-off. The riches of Wall Street are passed up to enrich the lives of the needy. This is a moving story about pizza and paying it forward from Soul Gathering. It’s amazing what food can do for others.